I am absolutely covered in bruises this week! Sparkly showgirl, magic rehearsal, ice-skating bruises admittedly, but bruises nonetheless! I had a week off from 'real life' work this week, ostensibly to have a bit of a break, yet I ended up with more to do than I would have done if I'd have stayed on! But it has been fabulous fun, so I'm not complaining at all! On Monday and Tuesday I took myself off to the ice-rink for Burlesque On Ice rehearsals. And, not to get ahead of myself or anything, but I think I'm *finally* starting to get the hang of this ice-skating malarkey! In the past I've had the issue that, when I look at a move, I know I can do it - my brain goes 'yep, I can totally see how that needs to be done', but my feet go 'nope!' Like my body didn't get the memo from my brain. However, in the last week or so I've started to get my head around some of the moves I was having mental blocks on (i.e. all of them) and work on some new, slightly harder things. Which is all good! Full credit for this definitely goes to Hollie Deller (who is playing the lead in the show!) who doesn't take any crap and just forces me to try things that I think I'd usually try and wiggle out of! Burlesque On Ice - Tickets on sale NOW! What wasn't so great was me throwing my hip out like an old lady! All the skating is exacerbating old issues I first encountered during college when I was dancing all-day, every-day, but thanks to having these things happen before I know what to do to try and make sure it doesn't happen again! Fingers Crossed! Monday evening was an event I had been looking forward to for a while - a Cabaratiparti!! In honour of the unveiling of the Cabarevolution video, that I blogged about a few weeks ago, the organisers of the London Cabaret Festival hauled half of the performers in London to Proud Cabaret for a party! And it was wonderful! On Tuesday evening I was in rehearsals for the amazing Simon Drake's House of Magic! I'm making my debut in this incredible show on the 2nd November and although my role is quite small it's insanely physical and takes split-second timing to get right. I felt like I'd been put through a Navy Seals bootcamp on Wednesday morning! I'm so excited to be in this show - I have always been fascinated by magic and illusion and to be a part of such a renowned show is terrifying and wonderful at the same time! Wednesday was a day of tending to my injuries and working on two new acts - one that I have the music and choreography for and just need to get the costume finished, and another that I have a complete costume for and no idea for music or movement! My wonderful boy bought me a bunch of roses to help me recover from my bruises; roses are my favourite flower and the birth flower for June, which is nice! I also got new slippers! I know that's not really blog-worthy but I love them and it's my blog so deal with it. 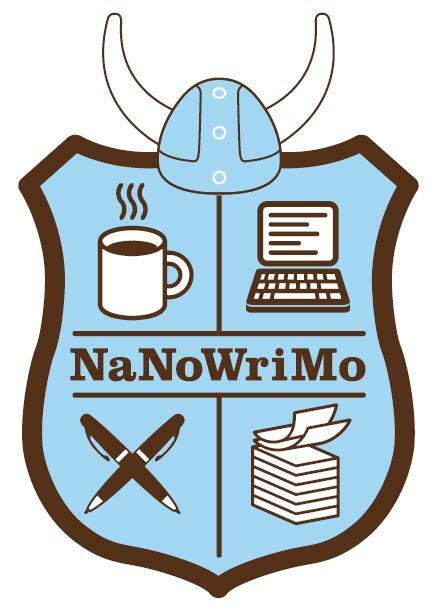 I mentioned last week that I had signed up for NaNoWriMo and I got to work on the story planning and structure, ready to begin in earnest on the 1st November! I have the story and development all set out now, and a chapter plan as well so I'm excited to begin writing! NaNoWriMo ** Leopard PJ's and Slippers! Two Mirror Pictures! With Ash Frith, Mat Ricardo, Lili La Scala, The Boy With Tape On His Face, Chantilly Lace and Abi Collins! I don't know why it amused me that hotels *still* put bibles in the bedside tables. I stayed over in Canterbury on Thursday night in a lovely little hotel and, after a *huge* breakfast headed back to London for an exciting interview at lunchtime. I spent the afternoon on the ice, trying to avoid kids on half-term and kamikaze hockey skaters - seriously I hate those guys. Friday and Saturday I was back at Proud Cabaret for a lovely couple of shows with a whole lot of the usual Proud suspects (literally, as Friday night is Murder Mystery night!) It was a fabulous way to round off a stellar week! Friday Mirror Pictures! Mat wants to be the centre of attention! ** With Taz Zebrowski, Mat Ricardo, Beau Rocks, Teddy Boylesque and Jolie Papillon! Saturday Mirror Picture! With Dee Riley, Helen Orford, Lili La Scala, Taz Zebrowski and Jolie Papillon!